Our website offers private, secure car parks for Orly airport parking, two of which belong to hotels but you do not need to book a room. So you can arrive at the airport, via shuttle transfer, without having to worry about finding a parking space. And, there is no booking fee! 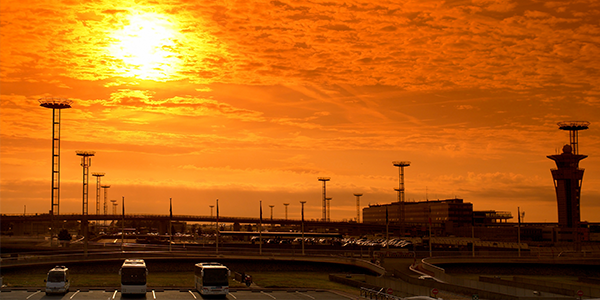 The car parks provide a fast and reliable service whether you are flying from Orly West or Orly South. How do I book Orly airport parking? There is no booking fee and the shuttle transfer is included in the price! Whether you are going away for a short break or for a longer period, your Paris Orly airport parking space is guaranteed the moment you book online with ParkVia. To check prices and availability, simply enter the dates and times required and click on "Check Availability". You can compare the prices and services for each different car park. When you have completed your booking you will receive a confirmation email with your booking reference, address and directions for the car park and important contact telephone numbers. Orly airport parking made easy with ParkVia! Paris-Orly Airport is located 14 km south of Paris city centre. It used to be the only airport in Paris but nowadays many flights operate from Paris Charles de Gaulle airport, while Paris Beauvais is a base for low-cost-airlines. The airport played an important role during the two world wars and suffered attacks from the Lufwaffe during the second world war. There are two terminals: West and South. The main airlines operating from this airport are Air Algérie, Air Europa, Air France, Easyjet, Iberia and Thomsonfly which fly to destinations in Europe, North Africa, the Middle East, French overseas territories and Canada.